I know, cheese and kimchi sound a world apart, but if an app existed to match up ingredients, kimchi would surely swipe right on comté. Despite their geographic separation, both are products of lacto-fermentation and share an intense umami with a mature flavor profile thanks to their age. But just because they share a lot in common doesn’t mean they’re a boring old pairing either. With plenty of complimentary characteristics that interplay as if pieces of a jigsaw puzzle, the two together have a synergistic relationship. 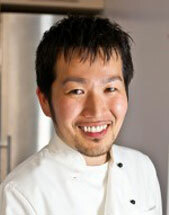 Kimchi is firm with a toothsome fibrous texture that’s somewhere between crispy and crunchy. Weeks of fermentation given it a tart taste and earthy flavor that’s funky in a good way. While it plays nicely with many ingredients, it tends to dominate most pairings thanks to its pungent aroma of garlic and chili peppers. 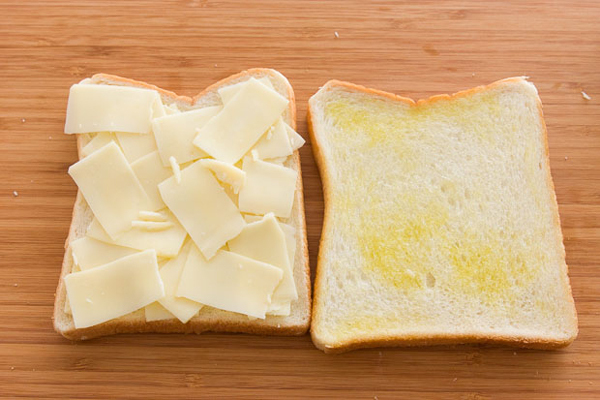 Comté, unlike some of its overbearing relatives, tends to get along with almost any ingredient, melting into a velvety pool of stretchy creamy cheese. But don’t let its seductive texture fool you, behind its mild-mannered facade is an earthy full bodied cheese that only gets better with age. While delicious on its own, it also has a way of enhancing other ingredients so they’re better together than separately. So how do you bring these two together? 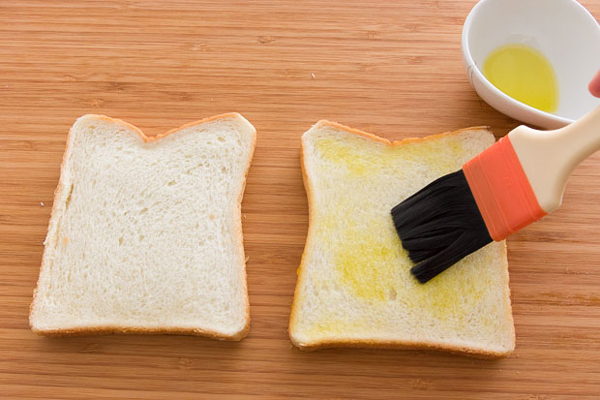 Easy … just stick them between two sheets of bread and apply heat. 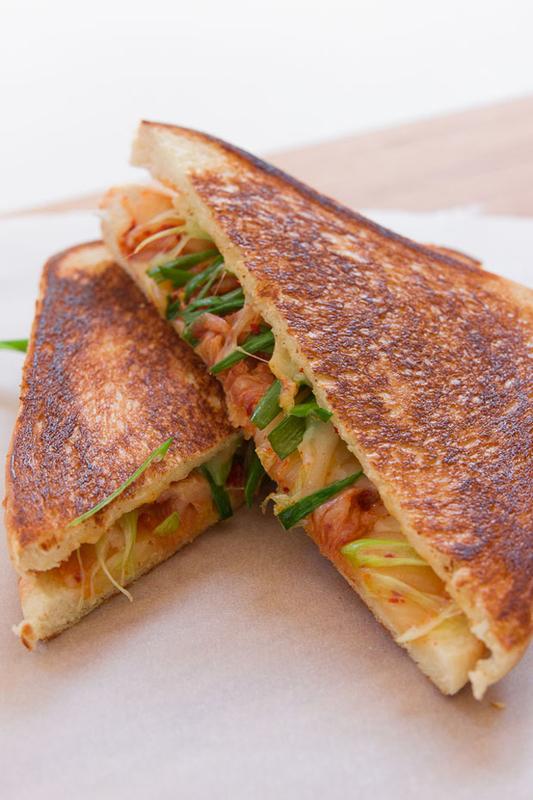 By turning this combo into a grilled cheese, the comté melts between the layers of kimchi, literally bonding the sandwich together and allowing their flavors to meld. Tart, crunchy fermented kimchi with rich, nutty, melted comté between two slices of crisp toasty bread is a match that can only be described as sublime. 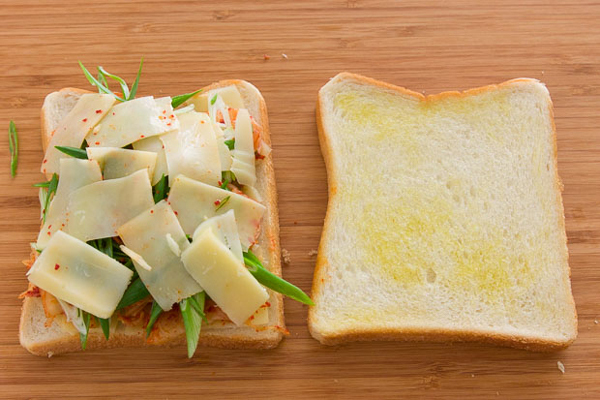 When making this sandwich, be sure to squeeze the extra juices out of the kimchi before measuring it. This does two things. 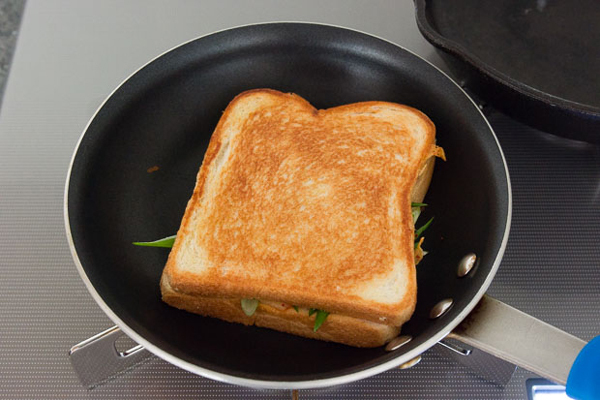 The first is that the extra moisture tends to render the bread soggy as it heats up and the liquid is released. 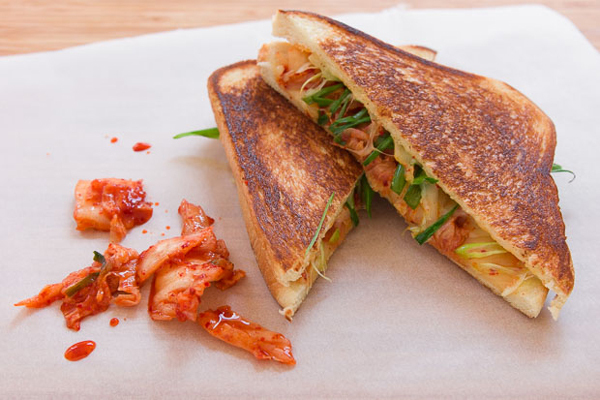 The second is between the cheese and the kimchi, the sandwich can get a bit salty if you don’t get rid of some of the juices in the kimchi. 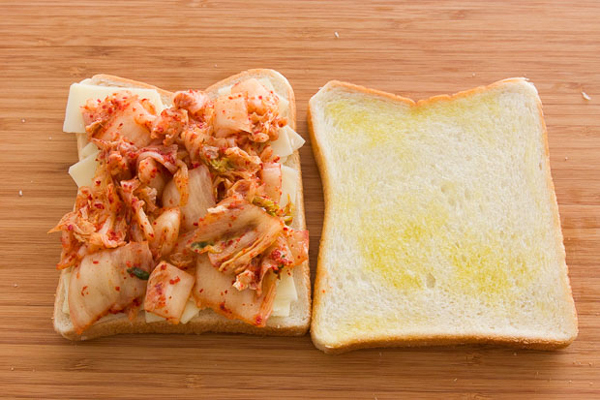 By squeezing out as much liquid as you can at first, it allows you to add a ton of kimchi to the sandwich without rendering it soggy or salty. 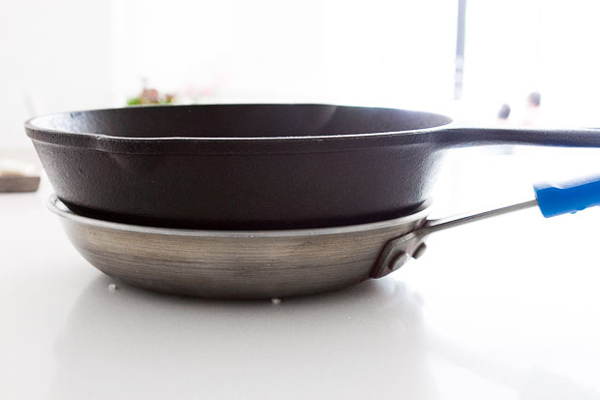 The best part is that the juices come in handy for making kimchi fried rice and kimchi jjigae, so don’t throw it out.